We’re excited to be creating our new showroom displays. 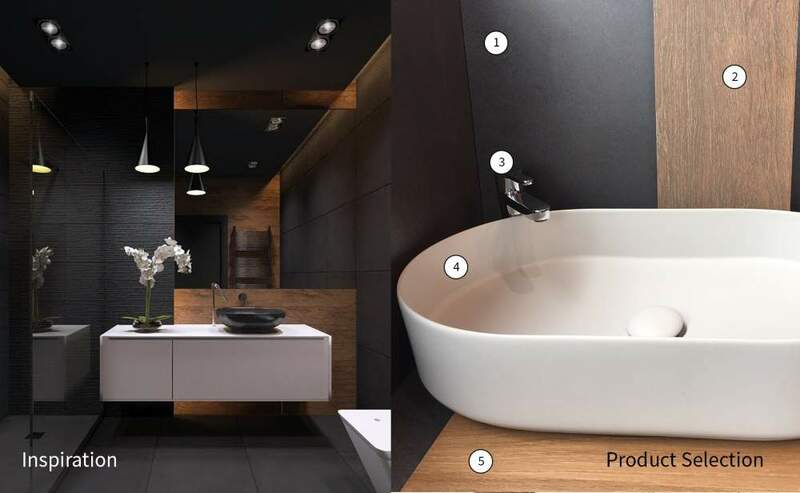 Next year there will be brand new surface displays created in the showroom, including more bathroom fit-out displays with combinations of the latest products from Italy. We’ll also have a spectacular display or our large format tiles. This will make it easier to visualise the overall design and give inspiration to new home builders and renovators. 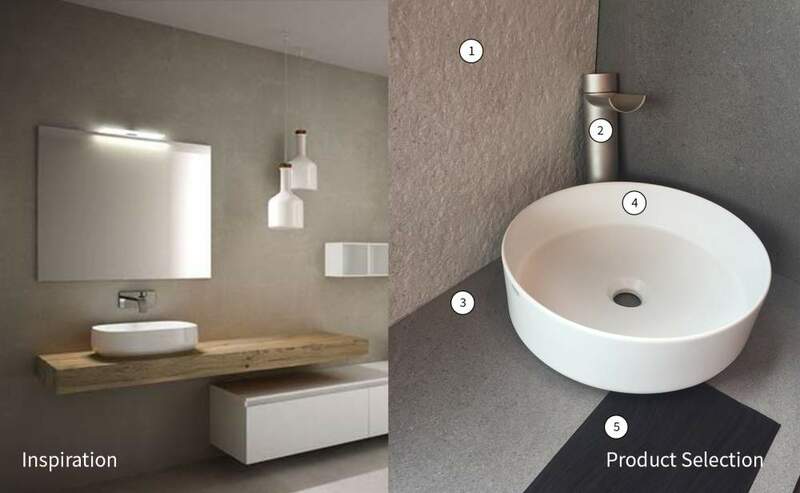 We love working with different surfaces and bathroom ware to create bespoke bathrooms for our clients. 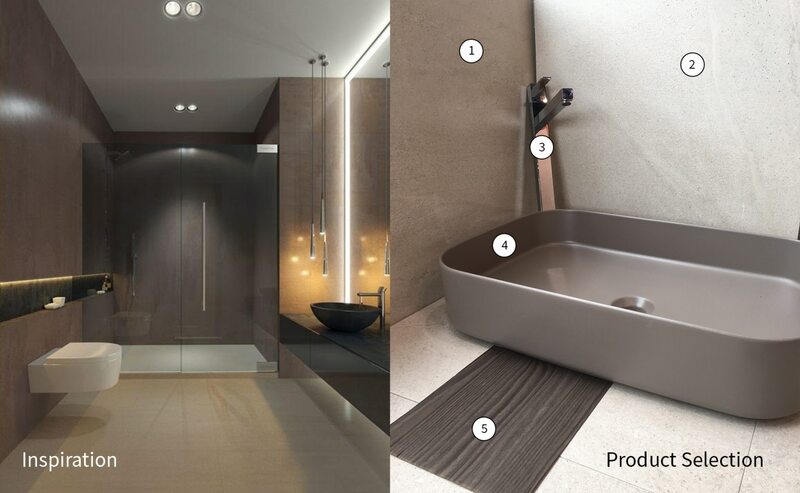 Below is a heads-up on some of the gorgeous combinations we will be introducing in our favourite bathroom displays in the showroom. We have chosen this lovely soft warm colour palette that combines shades of natural colour with the use of beautiful non-reflective textures with an intention to calm the eye. Carefully considered lighting will enhance the overall display, offering a relaxing experience. Shades of grey is the theme for this display, with contrasting slate and soft grey base tiles providing the backdrop for this look. 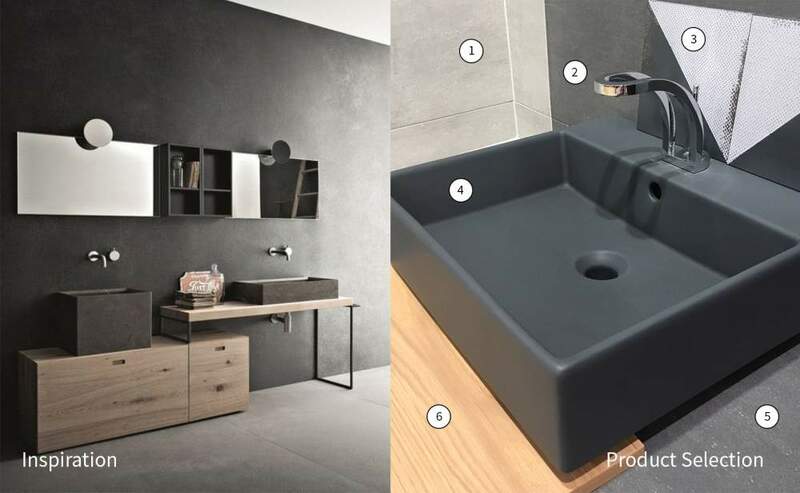 Natural raw oak cabinetry and fun geometric shapes within the decorative tiles create an element of interest and connects with the modern rectangular basin in the colour basalto. Beautiful warm colours of amber, soft browns and walnut are combined in this display to create a feeling of warmth and comfort. This classical modern mix of materials introduces new shapes and surfaces, yet due to the natural colour palette delivers an enduring style. With this display we wanted to show you don’t have to be frightened of using strong dark tones in the bathroom. Warm timber-look tiles and a light matt finished porcelain basin are just the perfect elements to lift the room. Clever lighting is also important to enhance the moody nature of this space.